We meet every Tuesday 9-12pm. Rotonda West Building 464 Rotonda Circle. You DO NOT need a sewing machine to join us. We need ladies to cut, pin, press and quality control, as well. At present, we are wrapping up items for the Nov. Bazaar and continue making gowns for Operation Smile. Many hands make light work. Who are the Sew N’ Sews? They were formerly the Sassy Stitchers this is a little history of this group. 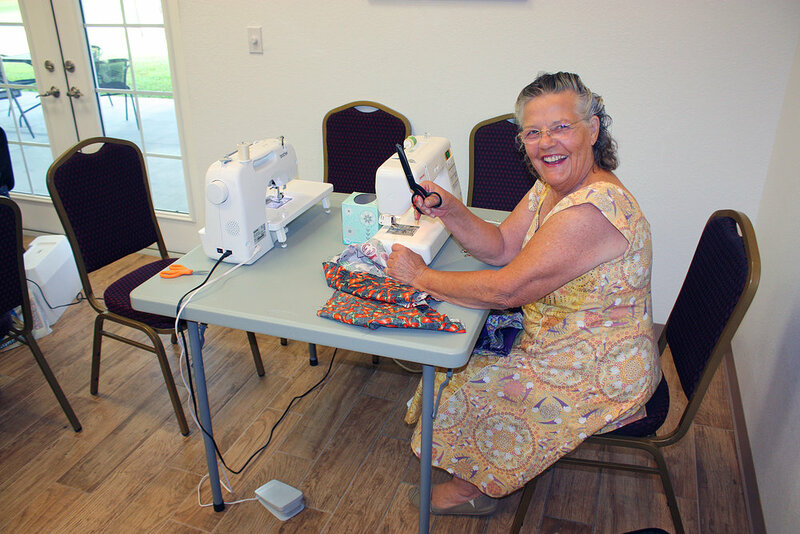 In 2006 during the time that Carol Ullrich was President and Posey Bauer was serving as First Vice President, the thought came up that we needed a sewing group. Some members had been making hospital gowns for Operation Smile and the forming of a group to work together on the gowns and other projects seemed like the right thing to do. On November 14th, 2006 a group of ten members met in the Community Center on Cape Haze Drive. They were Sharon Hodgdon, Bette Albert, Gloria Hansen, Elaine Prezler, Darlene Turzanski, Barbara Winsmore, Mary Lou Byers, JeanBay, Linda Muir and Posey Bauer. Jean taught us to make hairpin lace that day. 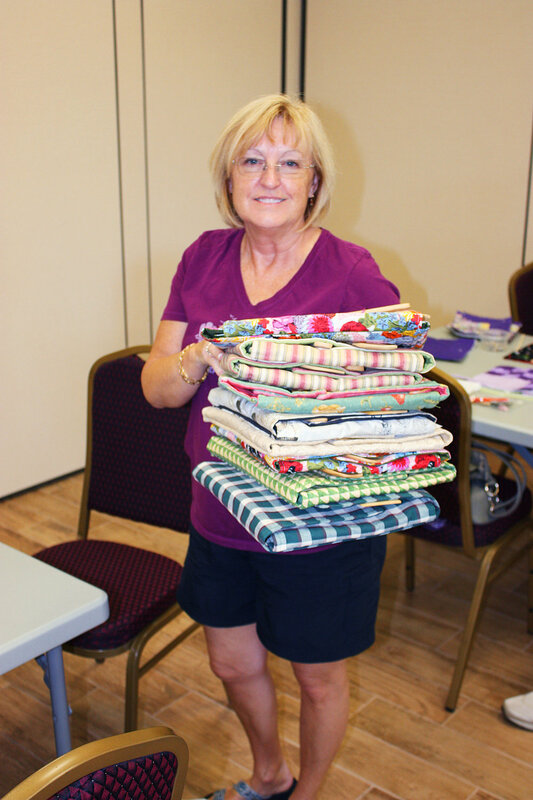 Linda and Jean made us aware of the Sew Much Comfort project. Mary Lou presented the pattern to make crocheted covers for tracheotomies, and Posey provided patterns for therapy caps for cancer patients. With all of these ideas and the operation smile gowns, the plans were in place. 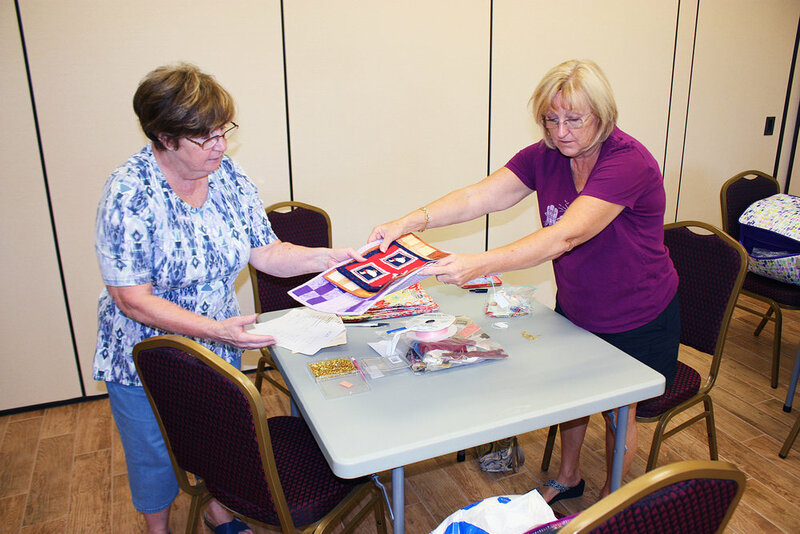 The group came up with the name “The Sassy Stitchers” and a schedule was set up to meet monthly at the Community Center . Through the years they have made heart pillows for Charlotte Regional Heart Unit and Venice Regional Heart Unit, Children’s therapy vests, an Easter Seals project , Therapy caps for the American Cancer Society, many tee shirts and shorts with the arm and leg openings for wounded soldiers for Sew Much Comfort, and oh so many gowns, bags and dolls for Operation Smile.